Kids were shouting and splashing in the Palisade town pool on June 12. It was a warm and windy afternoon. Lifeguards and staff were on duty. Summer aquatics programs at the pool range from youth and adult swim lessons to introduction to competitive swim for ages 8 to 12 or 14. See meets and Palisade aquatics information at the town website: www.townofpalisade.org/departments/parks-and-recreation. Pool staff members are painting colorful and whimsical murals in the men and women’s locker rooms. 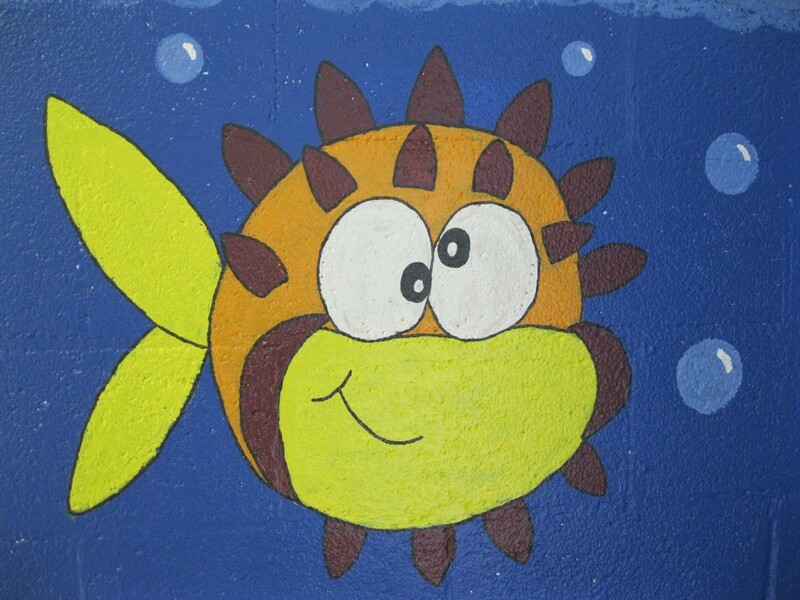 This silly fish is one of the many bright designs in the locker rooms.